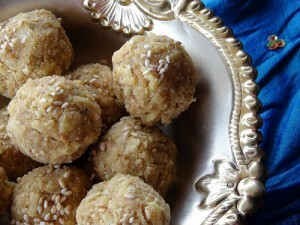 Here is the recipe of pure dry fruit Laddu without sugar or jaggery, Dry fruit Laddu is a treat for kids who needs high energy foods. 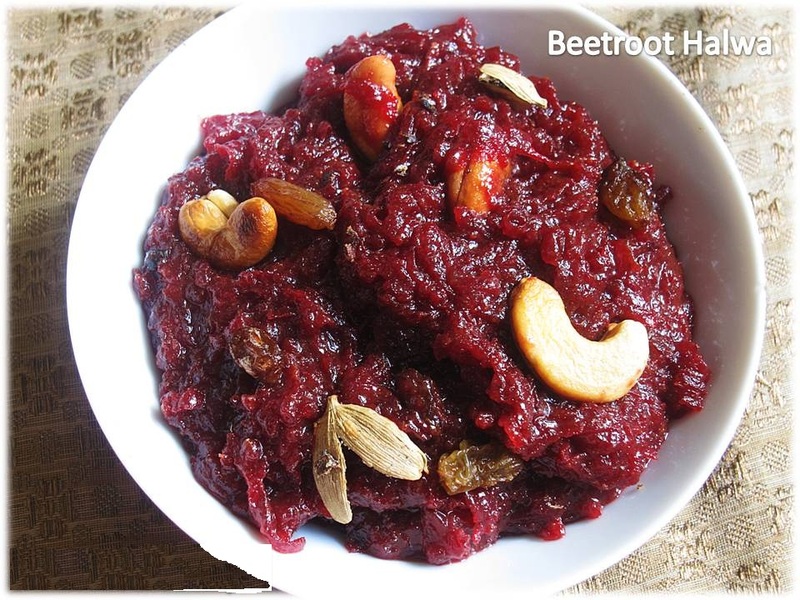 This is ideal for elders as well as body builders as it contain all pure ingredients and jam packed with nutrients and taste. 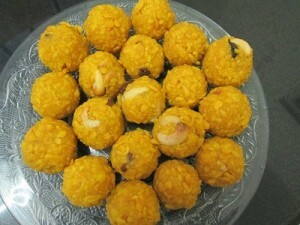 Other ladoo recipes you might be interested are Boondi Laddu, Ragi Laddu and Peanut Ladoo. Get the deseeded dates and blend in a mixer grinder. Better chop the dates before adding in the mixer grinder. No need to make it in to a fine paste. Chop the figs grind it in a mixer grinder along with raisins. Grind it coarsely and keep it aside. Fry the cashew nuts in Ghee till it is slightly brown. Let it cool. Grind it in a mixer grinder coarsely and keep aside. Take a thick bottomed pan and heat it,. Add ghee in to it and let it melt. Add dates mixer as well as figs and raisins mixture in to it. Saute for around 5 minutes in a low to medium flame. Make sure it is not over cooked. Mix it in between during saute. 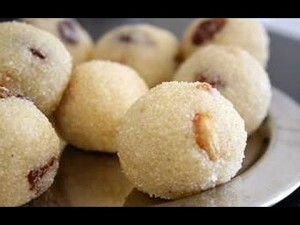 Now you can add the cardamom powder in to it and mix properly. It is always better to use whole cardamom deseed it and make a powder of the cardamom seeds. 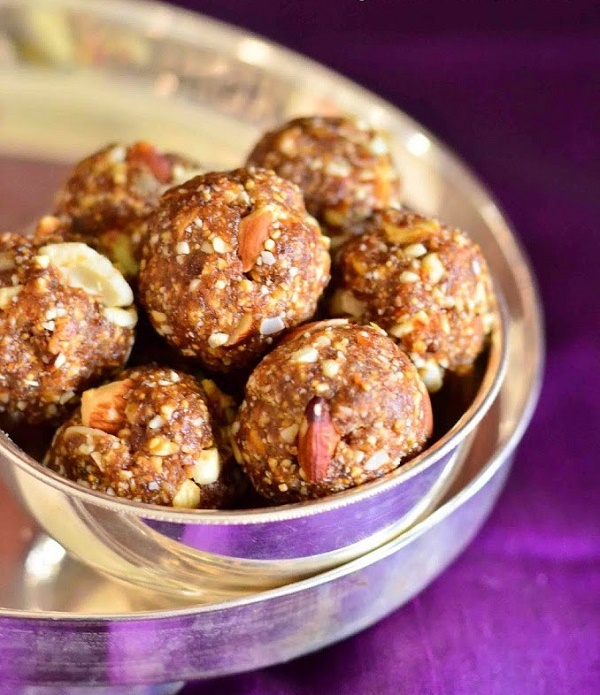 Add the chopped dry fruits like cashew Badam and pistachios in to the mixture and mix it properly so that the chopped dry fruits are evenly spread in the ladoo dough. 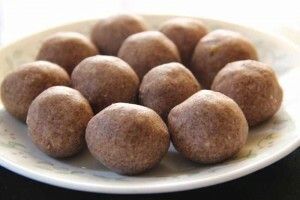 Make small balls out of the dough . 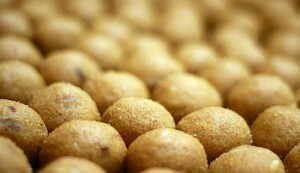 Ladoo is ready.